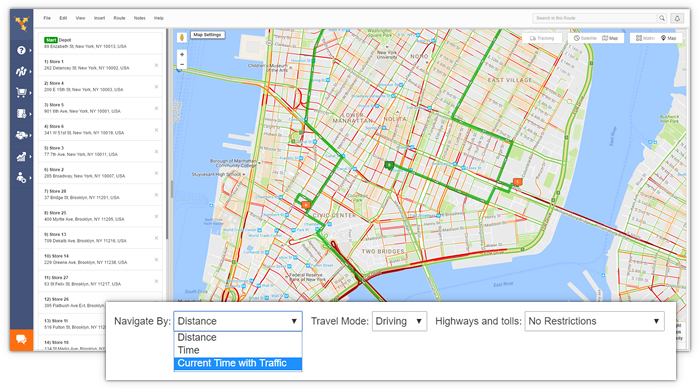 Route Optimization Software vs Google Maps - Which Is Better? You probably have a printer at home that you use for those occasional times when you need a copy or two or some document. Would you use the same printer to print hundreds of pages a day at work? Of course not. That would be ridiculous. Nicolas Cage attempting an Italian accent ridiculous. The equipment that works for your personal needs may not be able to handle more demanding work needs. The same logic applies to Google Maps and route optimization software. Google Maps route optimization is not recommended for commercial purposes. 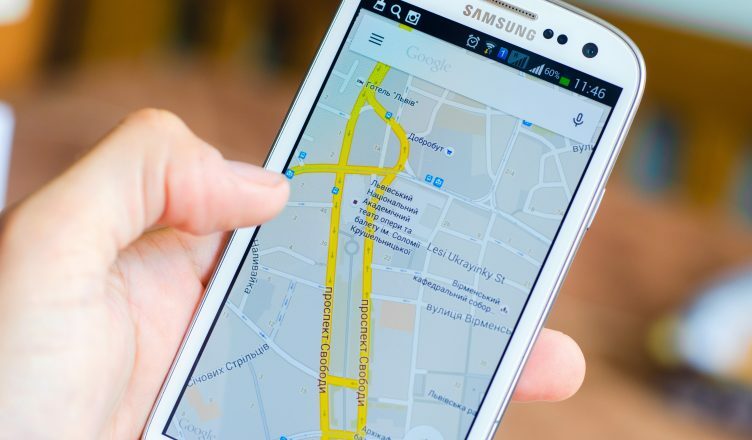 While Google Maps works fine for personal use, it just doesn’t have all the features you need if you run a delivery service or some other business that requires your employees to drive around and arrive at certain locations at certain times throughout the day. We’re not trying to disparage Google Maps here – it’s a great tool for people to use to get from Point A to Point B. When you need to plan multiple routes for multiple drivers, though, Google Maps isn’t going to cut it. For private use, you can afford not to take the absolute fastest possible route to your destination. If you waste five minutes, it’s no biggie. Business is different. If you have a driver running a route and they’ve got 50 stops to make in a day, wasting five minutes here and there can really set you back. Be late to one stop, and that might make you late to the next. That chain of lateness will upset a lot of customers, which will harm your reputation, as well as your profit-making potential. Google Maps is only really useful for a business when you’re going from one stop to a second stop. It’s not ideal for when you have more than two stops you need to visit, much less if you have dozens or hundreds of stops you make every day. Why? Well, Google Maps simply takes you to your customers in the same order you that entered their addresses. It won’t tell you the shortest and most optimal path for reaching those addresses. It is not a great tool for route optimization. Route optimization is the process of planning one or multiple routes, with the purpose of minimizing overall costs, while achieving the highest possible performance under a set of given constraints and considering other routes which share the same purpose. And none of these purposes can be achieved if you do route optimization using Google Maps. A route planner can help you here. It will help you plan well-optimized, foolproof routes no matter how many stops you enter. Simply upload your list of addresses and the software will do all the complex calculation for you. With Route4Me, you’ll get the perfect route within just one minute. This will reduce your fuel expenses and allow you to serve more customers in less time. Most importantly, you’ll be able to keep your customers happy by being on time much more frequently. So, why waste your time with Google Maps? Your business’s survival hinges on your ability to make timely deliveries. 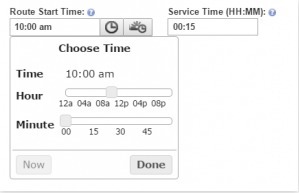 Our route optimization software comes with a specific time window feature that helps you define specific time duration for routes. This protects you from costly legal penalties that would result from violating the FMCSA’s Hours of Service rule, which only allows for 11 hours of continuous commercial driving. You can’t do that with Google Maps. Another advantage Route4Me holds over Google Maps is our sunrise/sunset feature, which prevents accidents by keeping your drivers from driving with the sun in their eyes. To use this feature, just go to to the route editor and key in the zip code. Then, you can make your routes avoid those areas during sunrise or sunset. According to the Centre for Economics and Enterprise Analysis, America will waste $2.8 trillion from being stuck in traffic by 2030. If you can find a way to avoid traffic more effectively, you can save yourself a whole lot of money. Google Maps can help you here to a certain extent, as it shows you the current traffic status. But route optimization software is even more helpful, as it’s able to show you what traffic will look like in the future. Route4Me’s Predictive Route Optimization™ module takes billions of traffic patterns into account and re-sequences your routes to avoid bad traffic. In a nutshell, Google Maps is reactive to traffic situations, while route optimization software is proactive. With Route4Me, you spend less time analyzing traffic statuses and your drivers are more aware of where traffic will be. Less work, better results. You can have your cake and eat it, too. Some roads are always congested, while others have time-bound traffic. Needless to say, you should plan routes so that your drivers can avoid these crowded roads and reach customers on time. Google Maps can’t help you much here, but Route4Me has got you covered. 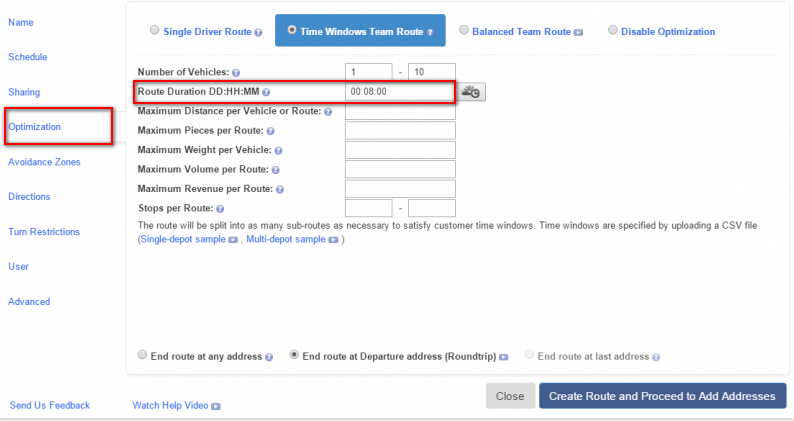 Route4Me’s route optimization software comes with a custom avoidance zones feature so your drivers can stay clear of zones that will cause delays. You can select pre-existing avoidance zones (like Manhattan, for example) or create up to 10 custom zones. Go to the avoidance option in the route editor and click on “edit list” to draw new avoidance zones. Our dynamic routing software will automatically avoid any streets inside this selected area. You can customize the selected area to fit your needs. Google Maps can show you how to get somewhere, but it won’t always tell you the best way to turn. The shortest way to go isn’t always the fastest way to go. This is because, for a left turn or a U-turn, you have to wait for traffic to clear – so much so that going out of your way to take right turns instead will actually save you a lot of time. UPS saves 10 million gallons of gas just by bypassing left turns. There’s no way to set Google Maps up to avoid left turns. This is something you can do on Route4Me, though. And for our clients across the pond and in other areas where you drive on the left side of the road, you can avoid right turns and receive the same benefit. Customers appreciate transparency. If you keep them updated about their delivery status, they’ll love you for it. It’ll be one more reason for them to keep coming back to you for their delivery needs. Your customers can see the delivery vehicle’s current location and the estimated time of arrival on a map. This feature sends an SMS to the customer when the driver arrives at the delivery location. The customer will receive an SMS when the drivers are close by, which allows them to get ready for the driver and helps your driver quickly get back on the road and on to the next customer. But if you do want any of those things, then Google Maps route optimization isn’t going to cut it. You’ll need a route planner. And with route optimization software, you get access to geofencing, electronic signatures, and many other valuable features. These features will allow you to significantly reduce your expenses and increase your revenue. Long story short, save Google Maps for home use. 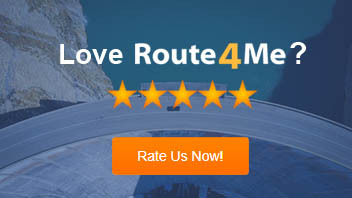 When you’re making money, Route4Me is the only sensible route optimization option. I have an inquiry about your routing product. Does it take into account scheduling locations/destinations on the same side of the street first before destinations on the opposite direction? As of now, we do not have the optimization which allows creating the route’s path along one side of the street first and then along the other side of the same street automatically.